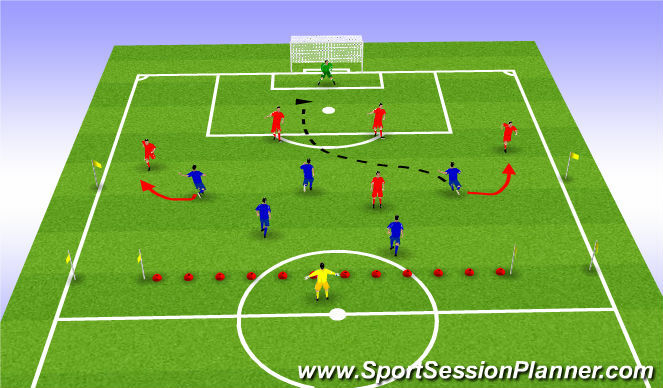 Coach serves ball into any channel and the team must pass the ball around in channel to try to play through the defending teams channel into there other teams channel. Grid Set up 25w x 32l with a 2 yard channel in middle. Attacking team trys play through into the attacking team into the opoosite half. 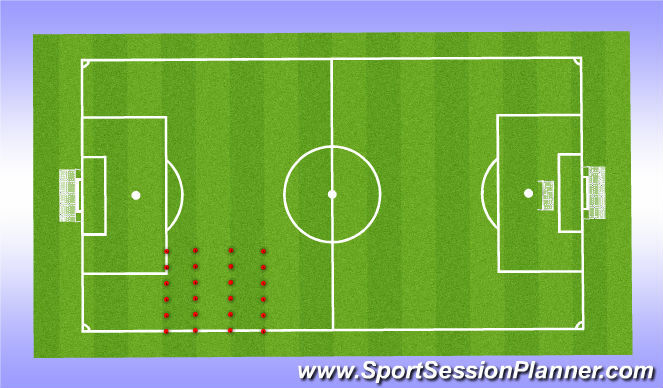 Attackers to play into the goal for a point. Floater can help the team in possesion to play out. 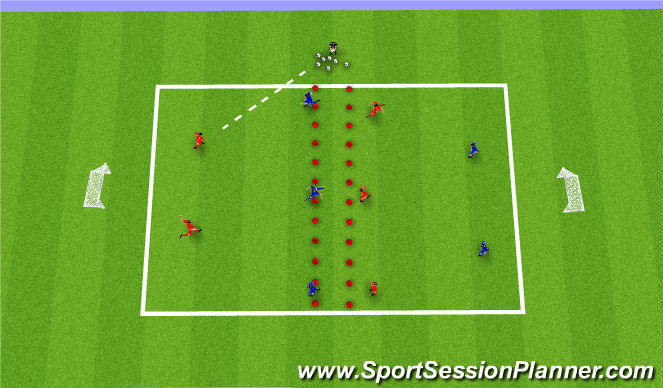 - compactness, communication, pressure, cover, balance. Phase starts with an over hot ball into the GKs hands, once GK has ball the blues will drop off to the flags on the field. 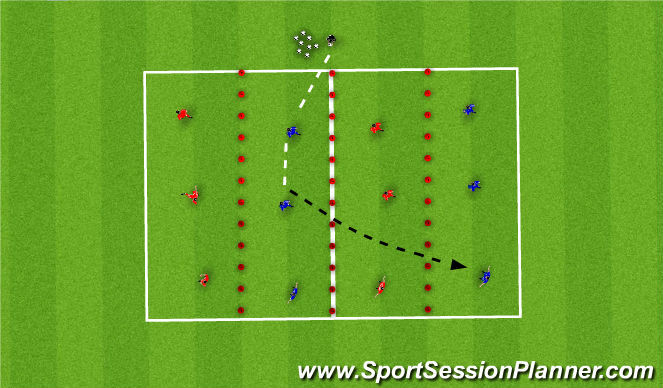 once red team advances past the line of confromtation blues want to force the play into the middle of the field where blues have over load. 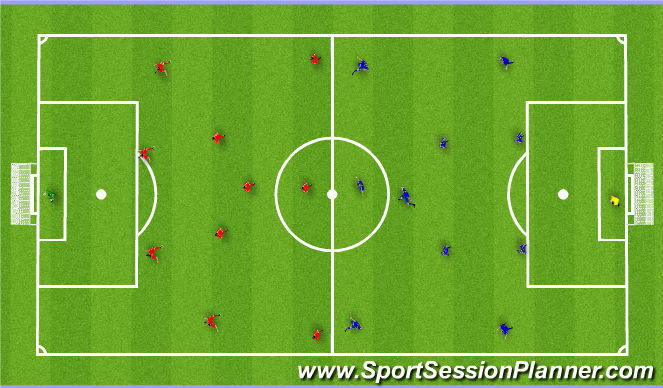 - Reds get out by dribbling through the gates near half way, if blues win ball attack goal. Phase Starts at top with Coach Playing the ball into the Red AM to attack the goal.Coach Blue team on defending principals. 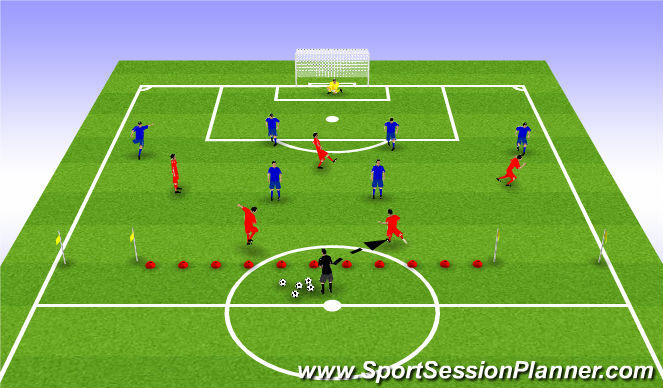 Red team attacks goal, if blue team wins ball dribble the ball through the gates.